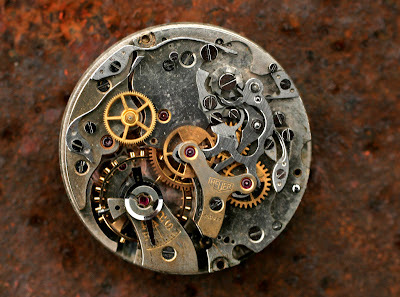 I belived that this was a Valjoux 23, but it's a Landeron 13. 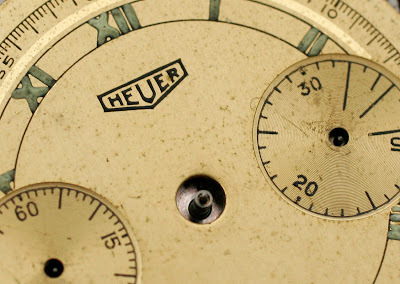 I have had this lovely golden Heuer dial and movement for some time now. I even have the original gold duaphine hands and crown. 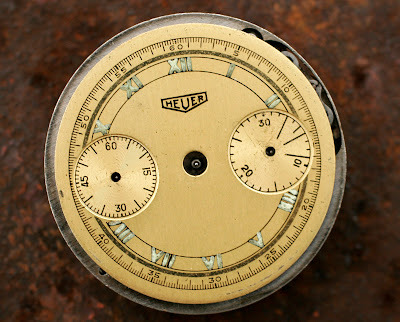 What I need is a Heuer case for a Landeron 13. It would be great to put this movement in a proper Heuer case again. It's a Landeron 13 and is correctly signed with the Heuer logo and production number on the main bridge. 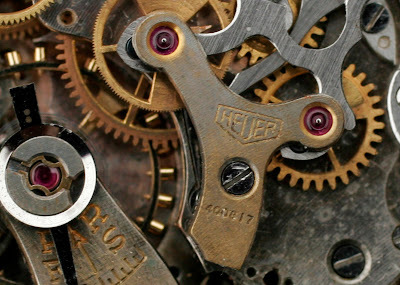 The production number is 400817, and the watch is most likely from the first half of the 1940's due to the "small" style Heuer logo used on in the 1930's-40's.